Calling all male and female wannabe models…have you got what it takes? 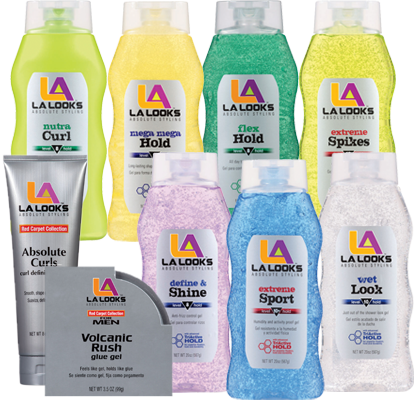 If you’ve got great hair and great style you could be the next L.A. Looks® model! All you have to do is be a fan of L.A. Looks Facebook page and submit a photo with your best “L.A. Look. All 18 and older male and female fans will get the chance to win a trip to L.A. for a professional photo shoot and a surprise VIP experience, including airfare, L.A. car rental, hotel and even a trip stipend. Plus, The Beauty Wall readers will get a chance to win a basket full of L.A. Looks® products. The basket contains L.A. Looks Absolute Curls, L.A. Looks Volcanic Rush Glue Gel, L.A. Looks Mega Mega Hold gel and L.A. Looks Define & Shine gel. To enter to win the basket of L.A. Looks® products, simply leave a message on this post or leave a message on my Facebook Wall. One winner will be randomly selected. The deadline for this is 7/25/14. *Model search entries will be judged on originality, creativity, quality of photo and overall appeal. Using these criteria, the judges will select 10 women and men for the finalist stage. Starting on Sept. 22, 2014, L.A. Looks will ask its fans to vote and determine who the two grand-prize winners will be, with the winner announcement to be made later in the fall. The model search will be promoted on product packaging, social media and the website.